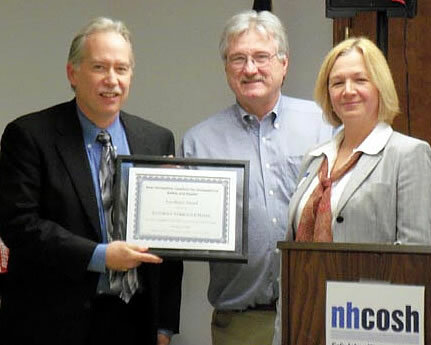 At this year’s annual members dinner meeting, the newly elected NH COSH Executive Board Chair, Louise Anne Hannan [on the right] awards new board member, Karla Armenti, [on the left] the NH COSH Achievement Award for her continued oversight of occupational health surveillance in New Hampshire with them is Dennis Martino [center] who stepped down as board chair after many years of service. The Excellence Award was presented to Attorney Terrence J. Daley for actively advocating for workers rights and going the “extra mile” for workers. 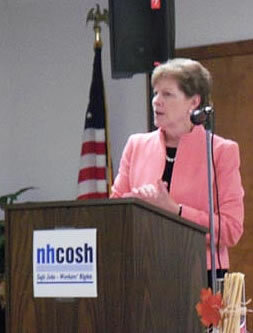 Senator Jeanne Shaheen stopped by to congratulate NH COSH on its 21st year in its continued work in educating workers in job safety and health issues. 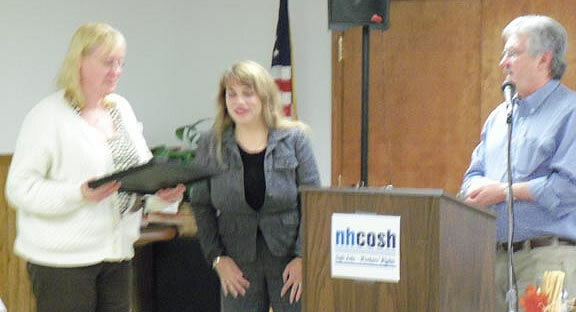 The Seventh Ed Eagan Award was presented to Paula Martel, president of ASFCME Local 2715 for her continue advocacy for the safety and health of the staff at the Hillsborough County Nursing Home against some great challenges. 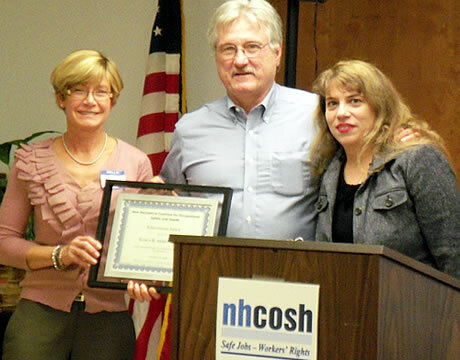 George Kilens, from the Concord OSHA office, was the main speaker at the Annual Dinner Meeting. 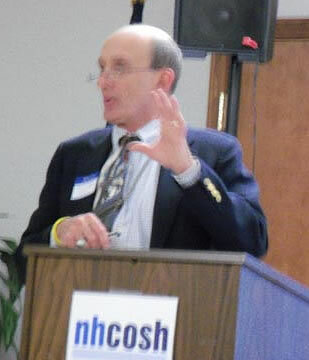 George gave a PowerPoint presentation of the new way in which OSHA is aggressively inspecting and fining employers for repeat workplace safety and health violations. A group shot of the meeting.